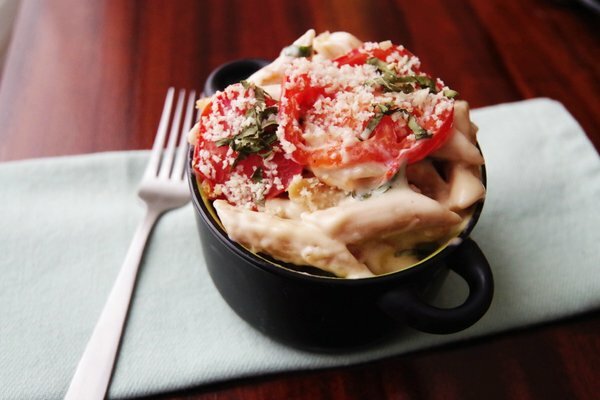 We have no doubt that this tomato mac and cheese will be a popular one in your house! This particular recipe makes 12 servings, and it features fresh tomatoes and some of our most popular cheddar cheeses. This dish is a great one for any summer get-together or party, or you can make it as a quick-and-easy meal just for yourself—it's ultimately a very satisfying dish, so no matter how you choose to serve it, you won't regret whipping it up. Try this recipe out and rate and review it after you're done. When making this tomato mac and cheese recipe make sure to coarsely chop up two tomatoes and slice two fresh ones. Once you've done that, make sure to toss in one cup of fresh basil leaves, four cups of milk, salted butter, Panko bread crumbs, flour and one pound of your favorite penne, elbow or shell pasta. 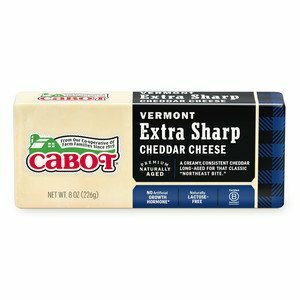 We also recommend using 16 ounces of Cabot Extra Sharp Cheddar or Cabot Alpine Cheddar, all of which should be grated. We know that this one will be popular with your family, and if you have little ones, they'll be eager to gobble this one up! This tomato mac and cheese recipe features some of our most popular cheddar cheeses, so we're pretty confident that you and your family are going to love this dish. 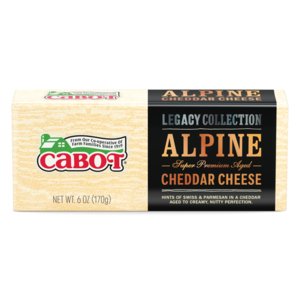 We put a lot of love and affection into our award-winning cheeses, and we know that you'll be hooked on our cheddar cheeses as soon as you give them a try. Also, we understand just how important it is to serve only the best for dinner, so please make sure to rate and review this recipe—we can't wait to hear your thoughts, tips or tricks. Feel free to share this recipe on Facebook or Twitter with your friends and family too. COOK noodles until al dente, drain, place in a large bowl and set aside. Preheat oven to 350°F. MELT the butter in a heavy-bottomed pot or saucepan over medium heat and whisk in the flour, a little at a time, until well blended. Continue stirring, letting it cook for a minute or two. Slowly add the milk and keep whisking for another 2-3 minutes. Add the cheese and stir with whisk or spoon until it melts and is blended into the mixture. Adjust the heat to low. Add the herbs and cook while stirring for 3 or 4 minutes. ADD about half of it to the pasta, when the sauce is done, and mix well. Add the 2 chopped tomatoes, a half cup of the chopped basil and the other half of the cheese sauce and mix again. PLACE the mac and cheese in a lightly greased 13 x 9 inch baking dish. Top evenly with the sliced tomatoes, the remaining cup of chopped basil and then breadcrumbs. Bake for 20 to 25 minutes or until it is hot and bubbly.